Ring in 2018 with laughs and an in depth, sometimes snarky discussion of unexpected film pairings. 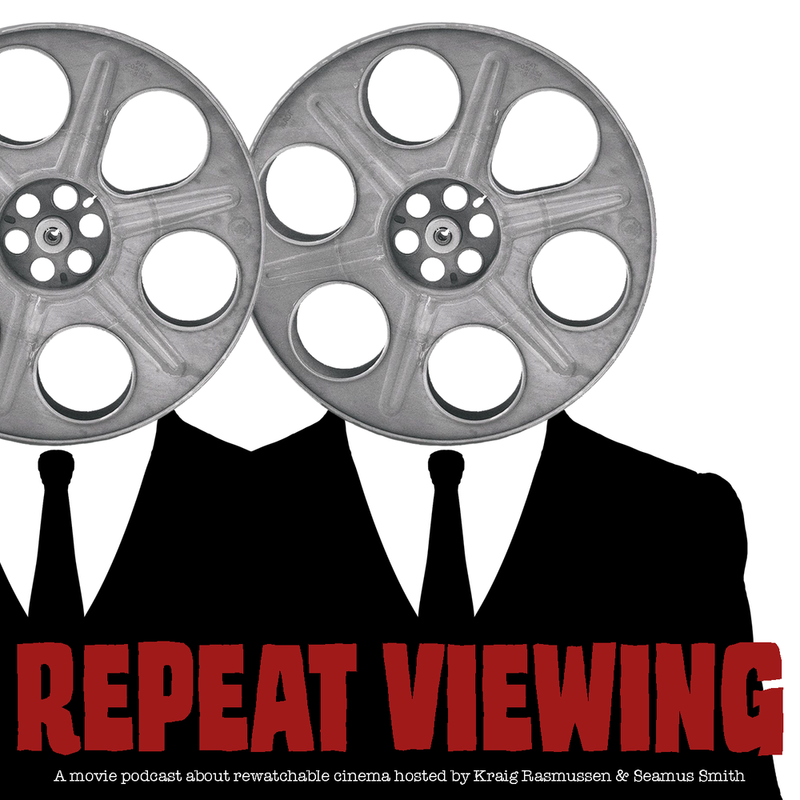 This is the pilot episode for the upcoming new podcast Repeat Viewing-- launching February 2018! Mike Dubisch joins me again to talk about the various scandals regarding men across American culture, how it affects us, how it affects our industry, and some root causes/solutions that lay primarily in the hands of men. We then break into the many interesting projects Mike has going these days, from his work in the Warren/EC style horror/sci-fi magazine "the Creeps", to his own upcoming magazine "Forgotten Futures", and a few of the other tidbits he's doing along the way. We close with what is hopefully not too murky a talk about fleshing out one's art style and taking an organic approach to drawing characters. Unique and talented cosplayer Stevie Spade talks to me about the hidden sides of cosplay, becoming a maker, social anxiety, awkwardness, and finding your community. We share several anecdotes about working comic book (& other) conventions, inhabiting characters, and using creativity to get results. The conversation is packed with jokes and laughs, but also reveals some interesting philosophical observations about our own minds, but also about the world at large. Follow me on twitter and instagram @kraigcomx, and suport the show by visiting monkeygong.com, reading the comics and shopping in the shop. Please subscribe to this show and share it with your friends. Jon Bogdanove, (Power Pack, X-Factor, Death of Superman & lots more,) sat with me after Comic Con Palm Springs to share a detailed and nostalgic dive into his history of working for the "Big 2" on some absolutely seminal works. He tells all the behind the scenes hub-bub that spurred the Death of Superman, his magical tale of landing his job at Marvel comics in the 80s, his knack for surrounding himself with the best of the best, and how openness & love got to where he is now. We discuss his diversions into being a stylistic chameleon, doing work that is consciously different from your past work, and embracing the digital in a traditional way. The whole thing is bubbling with anecdotes and wisdom many great masters from the recent history of comics, some of whom put us both firmly where we are. Finally, Jon reveals some tantalizing upcoming work. An episode any comic fan can love, but also one that outsiders can learn a lot from. Follow Jon Bogdanove on the socials @JonBogdanove, and look for his many great works at you local shop or online. In part 2 of my great talk with Shannon Wheeler (Sh*t My President Says, Too Much Coffee Man), we cover the perils of Hollywood, the beauty of teaching art, and being typecast as an artist. We also discuss breaking new creative ground, more stylistic choices, infusing our work with real life, and the importance of constantly considering the long game. This is yet another super insightful and entertaining chat, full of wisdom for anyone running a creative career. Pick up Shannon's amazing new book, "Sh*t My President Says", from Top Shelf Comics anywhere you buy books. Follow Shannon on twitter @muchcoffee, on instagram @muchcoffeeman and on Facebook, where he posts tons of cartoons. Find me this weekend at Comic-Con Palm Springs, where I'll be tabling in artist's alley (table A12), and I will be recording a live podcast as a panel with Death of Superman artist Jon Bogdanove! Cartoonist and longtime con-pal Shannon Wheeler (Sh*t My President says, Too Much Coffee Man) chats with me about his new book from Top Shelf in which he Illustrates Trump's most insane & inane tweets, the confused state of America, and how this time has been on the horizon for decades. We also talk about the deliberate choice of art style and techniques, pushing to make stuff happen for yourself, Kyle Baker, and a bit about Hollywood... with more about tinsel-town in part 2 next week! Pick up Sh*t My President Says from Top Shelf, anywhere you buy comics or books. Shannon has crafted an incredible piece of art. Illustrator Tony Guaraldi-Brown (The Cone-Nose Saga, Always) and I escaped the madness of San Diego Comic-Con, [and the crazy-busy Artist's Alley], to talk studying art outside of comics, the pleasure of working within limits, major psychological elements that forge artists, family, and writing characters from the internal perspective. We also discuss the lack of great internal superhero stories, because we feel superheroes are often internally misunderstood by their creators, and Tony delves deep into his powerful ongoing web-comic the Cone-Nose Saga. We also cover how lots of characters are defined by the loss or lack of family (even our own selves as characters), as well as how we feel driven to one-up and change our approach constantly, both to grow and to say different things. We wrap with discussion of Tony's gorgeous new art book ALWAYS. For a talk between two artists, this one is truly all about story- writing, structuring, and executing story- it is by far the most complete look at how I make comics, and it was a delight to discover Tony makes them in almost exactly the same way, internally speaking. The episode closes out with Celestial Lagoon from Solar Team by DJ Roshay. Visit Tony's site tgbart.com and read his excellent ongoing web-comic the Cone-Nose Saga. Pick up always at bigcartel.com. Follow Tony Guarldi-Brown on twitter @tgbart and on instagram @tony_guaraldi_brown. All around music making machine DJ Roshay (Aloe, Solar Team talks with me about community, incorporating diverse influences, owning your brand, and standing out in noisy LA as an indie talent. We also talk about processing the current state of American politics, cool 80s stuff we love, practical science fiction effects, and our work together on his album Solar Team, for which I did the art-- NOW AVAILABLE for pre-sale at monkeygong.com! I round off the episode with a special announcement about the above pre-sale, as well as a bunch of cool monkeygong related tidbits. After the close, stay tuned for the track "VOYAGER" from Solar Team by DJ Roshay. Follow DJ Roshay on twitter, Instagram, SoundCloud, YouTube and Facebook @djroshay, and listen to his music on iTunes and Spotify. Follow this show on twitter @storycraftpod, and help support the show by subscribing, rating/reviewing on iTunes, and for Pete's sake, share it with your pals (especially Pete)! Follow me on twitter and instagram @kraigcomx, and please help support this show and my work by shopping at monkeygong.com/shop, or by supporting me at patreon.com/monkeygong. In true late night podcasting form, Seamus Smith, Pheobe Dubisch, Mike Dubisch and I share a bunch of laughs and "con-brain" moments as we recount the way our experience at San Diego Comic Con has changed over years in attendance, and how the con has changed as well. It's a love letter to "Nerding Man" that we attend yearly, but also a glimpse at creators in intake and networking mode, thinking less about story on the page, and more about story in the moment between people. Then I sat down with Seamus Smith one-on-one to talk about his new portfolio site seamussmithart.com, where you can find his brilliant surrealist illustrations, his uniquely powerful photography, and his excellent debut short film, SLUMMING. Follow Seamus on instagram @seamussmithart, twitter @allthingsseamus, and on facebook... but only after you visit seamussmithart.com. Follow Mike on twitter, instagram & Facebook @mikedubisch. Please support the Storycraft podcast by subscribing, rating & reviewing on iTunes. Then tell all your friends! All. Of. Them. If you'd like to do more, please visit patreon.com/monkeygong &/or monkeygong.com/shop. Comic book creator & animator Stephan Franck (Silver, The Iron Giant, The upcoming Playmobile Movie) sat with me in his graphic novel packed art studio to discuss the different history of comics in Europe and how that shaped his mind, the "Spirited" results of his young fervor for animation, his tandem love for multiple crafts, and a bonkers revelation about the childhood influence that led him to later create his comic SILVER. We get in depth about his work with Brad Bird on the Iron Giant, the things he brought to that, the things he took away from it, and the way he sees the power of story and how to wield it. And never fear, we cover all kinds of fan service in between, for a very entertaining and insight packed conversation. In particular, if you are interested in getting deep on controlling your stories and images, which should be the whole audience for this show, you will find loads of wisdom to takeaway from this one. And grab the first two volumes at dark-planet-comics.com or on Amazon. Follow Stephan on Twitter @stephan_franck & on instagram @stephanfranck. Children's book artist and papier mache master, Carolyn Watson-Dubisch joins me for a deep dive into art entrepreneurship, working for the long haul, the inner workings of the children's literary market, and how the residuals from one good project should be the goal, and could be a game changer for anyone's career in the arts. We also break down her recent art residency in Tetouan, Morocco, and discuss the incredible installation she built there, the experience of Ramadan as an American, living abroad for life exploration, how healthcare works (better) when you're in other countries, and challenging yourself, both by living elsewhere, but also by taking on projects before you know how you can execute them. On top of everything, this is "an artist's guide to Etsy, or, the art of tenacity." Truly a practical takeaway packed conversation, with terrific cultural insight along the way. Follow Carolyn Watson-Dubisch on Facebook, her Etsy store "Artisanmasks" and on Amazon, where you can find her available children's books. 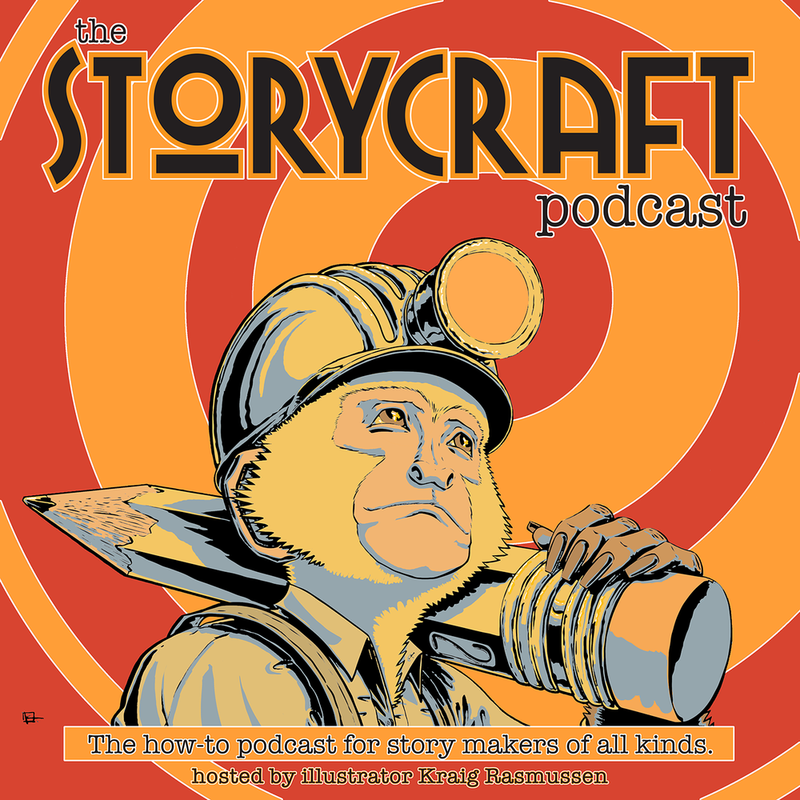 Please support the Storycraft podcast by subscribing, rating & reviewing on iTunes. Then tell all your friends! If you'd like to do more, please visit patreon.com/monkeygong &/or monkeygong.com/shop. Film Editor and friend Jake Pushinsky (Man Down, A Guide to Recognizing Your Saints, Fighting) invited me to record with him in his editing office on the Sony lot. Getting to visit a place so packed with film history was the cherry on top of an excellent talk about the mechanics of film storytelling, naturalism, and his longtime collaboration with Dito Montiel that hasalready yielded 7 unique & powerful films. We get technical on the amazing scene in Fighting, which squares off Channing Tatum and real-life badass Kung Le, how that very experimental fight harnessed the power of Kung Le without relying solely on a master shot, as well as how that film is proof Channing Tatum is both nuts and amazing. As a couple of San Francisco kids, we get candid about Robin Williams and what it was like for Jake to edit one of his final films, and his two-part, epic, upcoming Muhammad Ali documentary for HBO Films. There is also a very direct and intriguing formula revealed for how to avoid exposition! This is one for all storytellers, but most assuredly for serious cinephiles and those looking to up their game in crafting solid, naturalistic stories. Check out Jake's work on Netflix, Fighting and Silicon Cowboys, and find the rest of his work on Amazon Instant Video: A Guide to Recognizing Your Saints, The Son of No One, Empire State, Boulevard, Man Down, Howl, Chops, 10 Years, The Making of a Father's Dream, and We Don't Belong Here. That's your homework, but you'll thanks me later! Follow Jake on twitter @pushinsky and go see the Clapper when it comes out dag nabbit! Follow director Dito Monitel on twitter @ditomontiel. Follow this podcast on twitter @storycraftpod. Please support it by subscribing, rating & reviewing on iTunes. Then tell all your friends!